This city hotel comprises a total of 110 rooms spread over 15 floors. Guests are offered a lobby with a 24-hour reception desk, lifts and a safe. Further facilities include a cosy bar and a breakfast room. 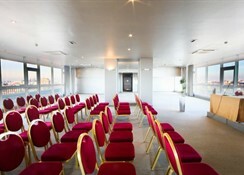 Business guests are offered various seminar facilities. Car parking is also available. There is a shuttle service to the Exhibition Centre Fiera Milano City, available upon request. Some services may carry an additional cost. The hotel features rooms for disabled guests. 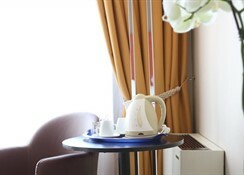 You also have the possibility to book rooms for smokers and nonsmokers. The pets are welcome. 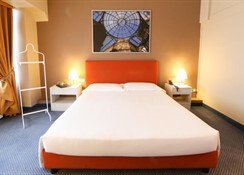 This hotel is located north of downtown, about ten minutes from the fair grounds and the main railway station in Milan. Just 1.5 miles from Picanha Churrascaria, 2 kilometers from the Cathedral, Brera Gallery and La Scala Theatre and only 3 kilometers from Via Montenapoleone. 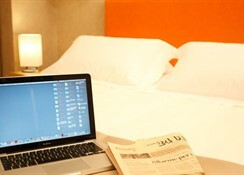 The spacious rooms, tastefully decorated and furnished, feature air-conditioning and satellite TV. They offer a flat screen TV and wireless internet access.